Gov. Rick Perry on Friday said he likes the idea of dedicating a portion of future car sales taxes to road projects and also said he's open to spending up to $6 billion of the Rainy Day Fund on infrastructure projects. Gov. Rick Perry on Friday came out in support of dedicating a portion of future sales tax revenue from car sales to the state’s highway fund, while also leaving the door open to spending more of the Rainy Day Fund on infrastructure projects that he had proposed three months ago. The remarks put Perry in lockstep with the main proposal put forth by Senate Transportation Chairman Robert Nichols, R-Jacksonville, and House Transportation Chairman Larry Phillips, R-Sherman. Both have filed bills gradually dedicating a portion of future vehicle sales tax revenue to the highway fund. The plan is one of several ideas lawmakers are considering to raise more money for the Texas Department of Transportation. Agency officials say they need $4 billion more per year just to maintain the current level of congestion in the state. In his State of the State speech at the start of the legislative session in January, Perry called for spending $3.7 billion from the Rainy Day Fund for water and transportation infrastructure projects, and another $1.8 billion for some form of tax relief. This week, Senate Finance Chairman Tommy Williams, R-The Woodlands, proposed spending $6 billion from the fund just on transportation and water projects. The fund is projected to accrue $11.8 billion by the end of the next biennium. Asked by reporters Friday about Williams’ more expensive proposal, Perry didn’t rule it out. Perry said he was less interested in putting Rainy Day Fund dollars toward public education, as Democrats in the House and Senate have proposed. “We’ve got a substantial surplus in our state budget before you get to the Rainy Day Fund, so I think the dollars for education are there in general revenue without going into the Rainy Day Fund,” Perry said. In Williams’ plan, lawmakers would use $3.5 billion from the Rainy Day Fund to create a revolving infrastructure bank that would help local entities move transportation projects forward around the state by either loaning out money for the projects or helping public entities borrow money for the projects at lower interest rates. The projects would have to generate revenue, either through tolls or some other means, to pay back to the fund. While Perry and Williams may be moving toward agreement on the Rainy Day Fund, the two don’t see eye to eye on whether the state should dedicate tax revenue from car sales to road projects. In a recent interview with the Tribune, Williams said such a plan would make things difficult for future legislatures as, over time, a bigger portion of state tax revenue gets automatically dedicated to roads. He has said he prefers raising the registration fee to raise more money for transportation. 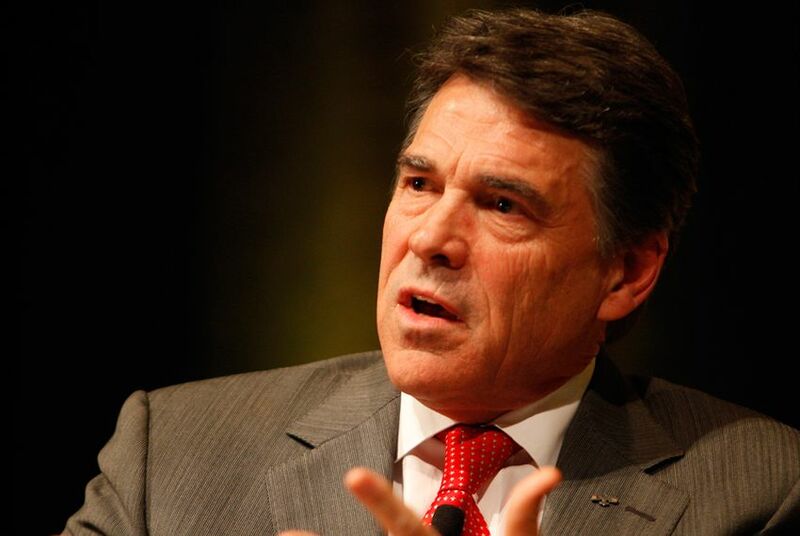 Transportation has been a politically tricky issue for Perry over the last decade. In 2002, he proposed the Trans-Texas Corridor, a hugely ambitious plan to blanket the state in a network of privately operated toll roads, railroad tracks and utility lines. He later scrapped the plan once public opposition mounted and virtually the entire Legislature disowned it. On Friday, he seemed ready to tackle the issue head on once again. “We have to take on this challenge of transportation infrastructure much more aggressively than we have in the past,” Perry said.